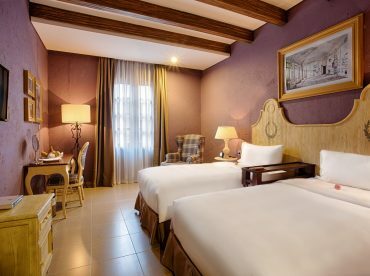 The deluxe rooms are designed in French style. This charming room has 28 sqm spaces with incredible views and give our guests a deep sense of comfort and relaxation. This room is all you need for your stay! 1 king bed options is available, easily housing two adults and one children.